James Musselwhite FSWPPThis shows the qualification attained by James Musselwhite within the SWPP and associated societies. My photographic style: A mixture of modern, contemporary images, and classical, timeless work. My greatest strengths: Portraits and specifically working with children, Being able to put people at ease and to adapt my style to meet a clients criteria. I have been in photography: 9 years full time. 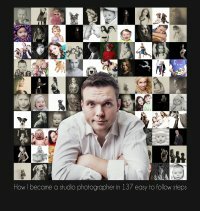 How I got started in photography: Started at school at GCSE level, photographed mainly sports in my early 20's, then went full time into portraits when I hit 24. My photographic skills: Handling people, Studio Photography, Portraits and weddings. Also skilled in all aspects of Photoshop. My personality: Relaxed, informal, professional and efficient. Geographic areas I cover: South coast of England, specifically Hampshire, West Sussex & Dorset. Have photographed weddings internationally. Venues I frequently attend: Any where with plenty of light and space. Have worked Portsmouth Cathedral and HMS Warrior on numerous occasions. I found inspiration from: There is so much work out there to be inspired by, it's impossible to run out of ideas, or to single one particular inspiration. Favourite classical photographers include Cartier-Bresson, Mapplethorpe & Diane Arbus. My favourite photo book is a collection of Frank Worth's Hollywood images from the 1950's. Success in photography: Associate with the MPA. 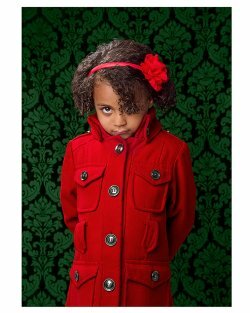 Current MPA Wessex Region Photographer of the year (2011), including pet, corporate & Under 5 category winner. Previously Art Director within the Venture Photography group. My interests outside photography: My family, I founded and still run an athletics club (www.farehamcrusaders.co.uk). Have personally completed Chicago, New York and London Marathons. Major events: Married father of one. Cancer Survivor and 5 years all clear. "Hi, thank you for a wonderful session yesterday. You were amazing with Seb & Sam and they talked about it for hours after. Thank you for putting so much effort in with them - and energy as well. The boys were completely at ease with you, and you even brought laughter tears to my eyes watching them giggle so hard. - Miss Fortune"
Why I like the SWPP: Active forum and a great opportunity to meet other photographers. Future plans: To move to a bigger studio, to become a Fellow, and the be as good a Dad as I can be.